Good for... 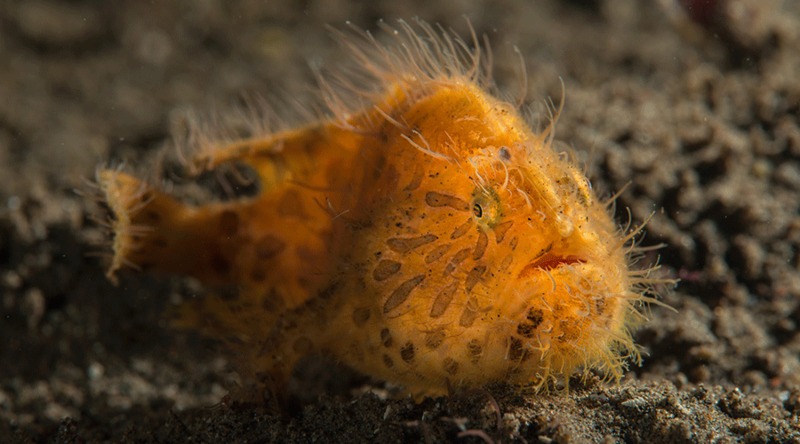 It's frogfish season! 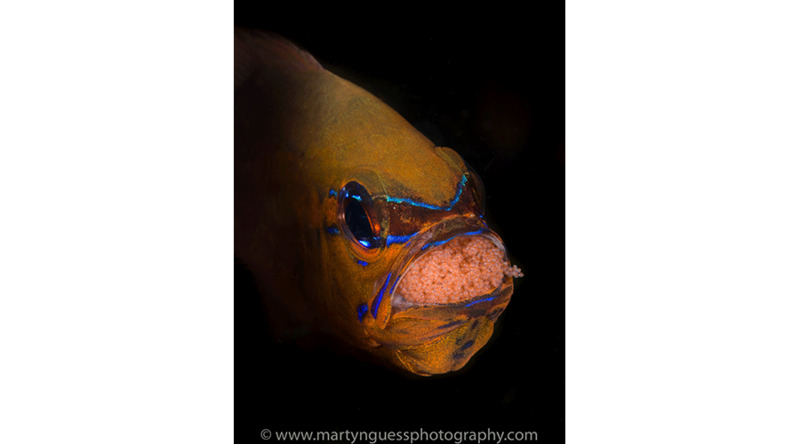 Highlights Martyn has been shooting pics underwater for over 20 years and has travelled the globe in pursuit of his award winning images. And this is one of his most productive locations, making it a destination he loves passionately - Atmosphere Dumaguete in the Philippines. 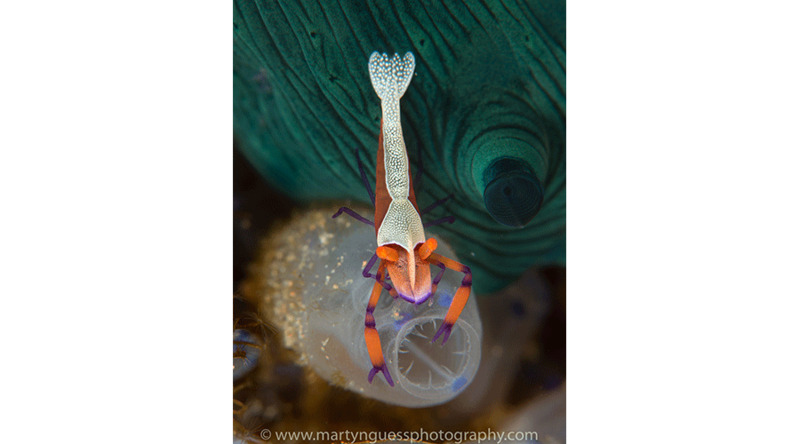 Following on from his successful macro workshops, 2020 sees Martyn return to the Philippines, and an area he loves. Atmosphere resort in Dumaguete is well known to seasoned photographers and dive staff that know intimately what subject is hot and where to find them. You can log a lot of hours underwater here. 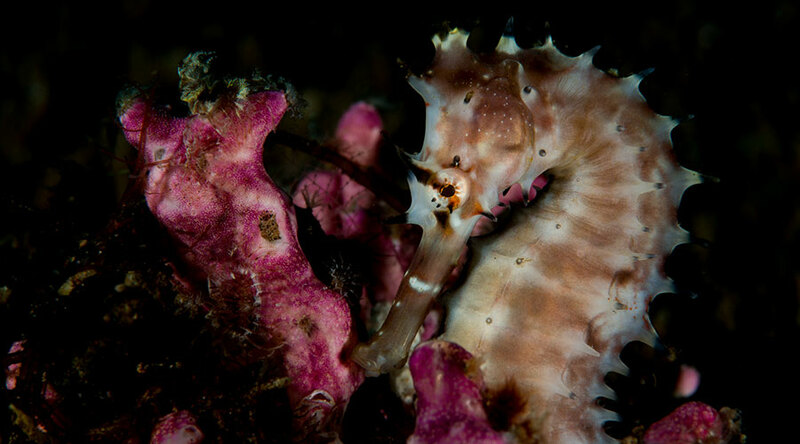 The diving day offers plenty of scheduled departures, with the option to add extra shore dives or night dives. Most diving is by boat and sites are rarely more than 5-10 minutes from the resort. Atmosphere resort has an excellent purpose built camera room and TV screen for presentations and is conveniently placed directly opposite the dive centre. This holiday will enable guests to brush up on and learn new macro skills, including various lighting techniques, snooting and super macro. This is an outstanding muck diving location and with a day at Apo Island included, you will hone your turtle reef shots on a wide angle day. 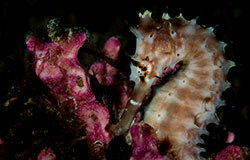 Your workshop includes 24 boat dives plus free nitrox (3 dives/day plus 1 day Apo reef). On your no fly day there is a chance to take land shots with a trip to the Malatapay Farmer Market included. 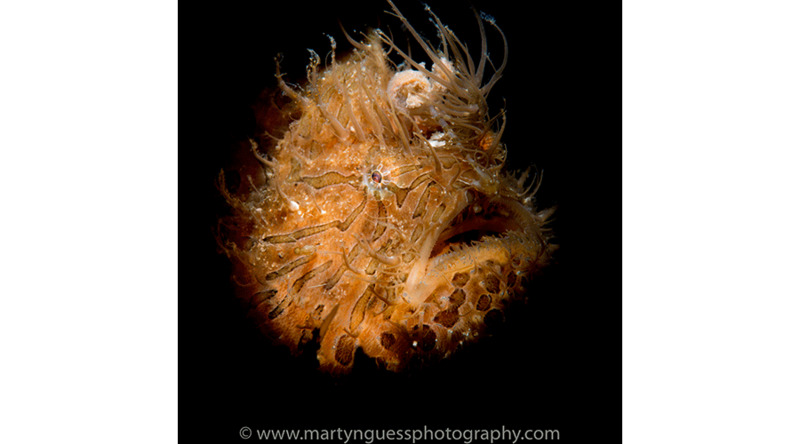 May is the key month for frogfish, when they become very active - big, small, painted, hairy or giant... May is frogfish month! It's also a wonderful time for pipefish. 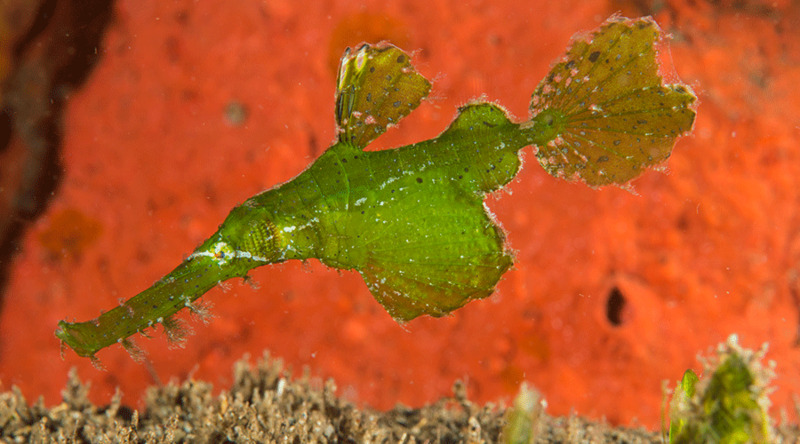 If you have longed to photograph ghost pipefish, don't miss this workshop! 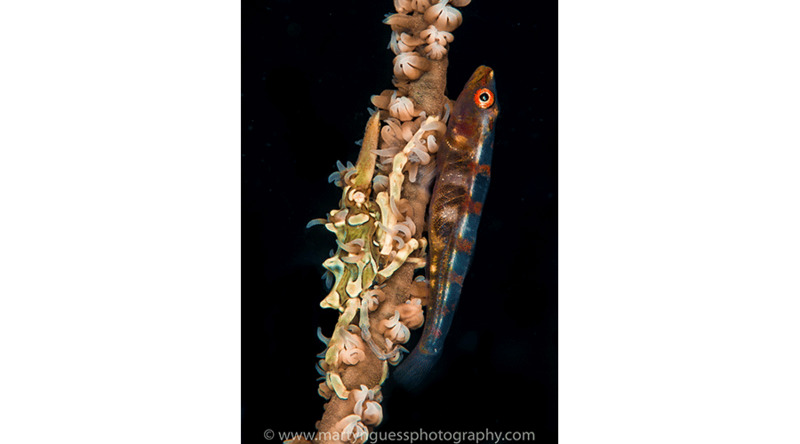 Either individually or in small groups, pipefish are seen hovering around coral heads or tucked in behind sponges. Year round you will find all manner of nudis - in every shape, size and colour. 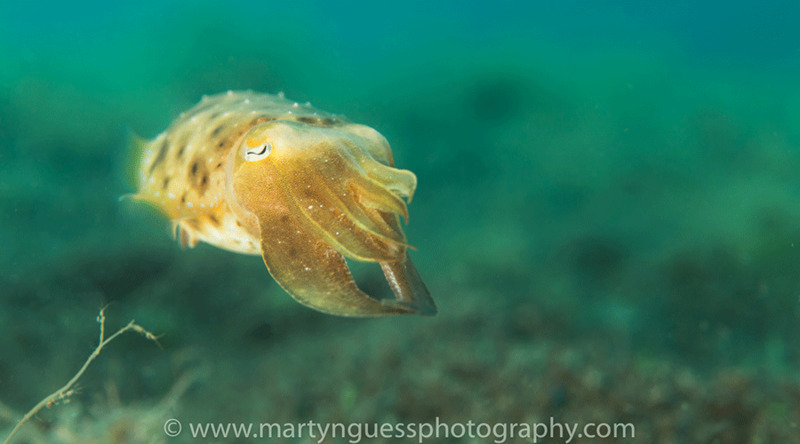 Philippines favourites abound - octopus, Nudibranchs, Rhinopia, anenome fish,as well as shoals of Batfish. 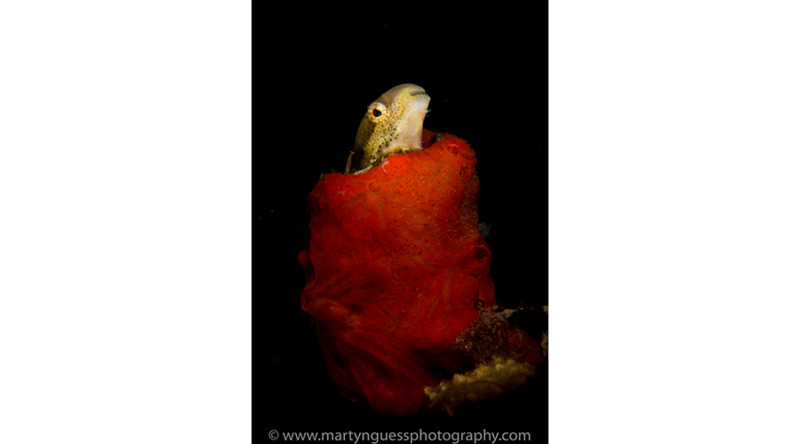 With hands on instruction through group image reviews and evening presentations as well as underwater instruction for those needing it everyone will have the opportunity to return with a great portfolio. With only 9 participants, this workshop delivers quality instruction as well as a large number of dives. 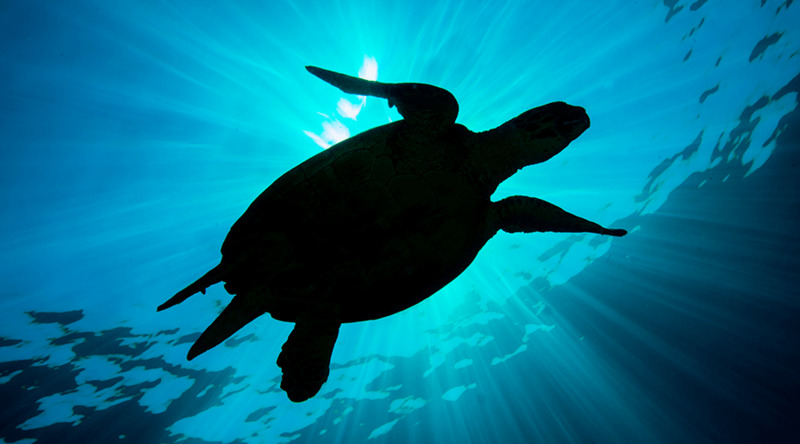 It trip is aimed at intermediate underwater photographers upwards. 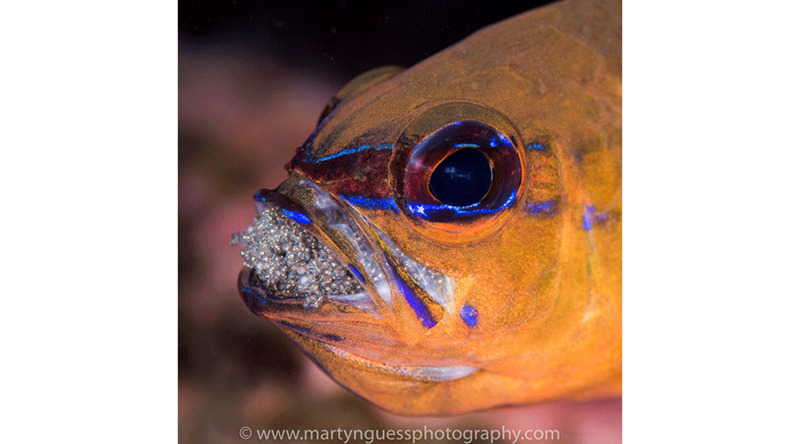 You will have some experience with a camera underwater and ideally will be using a mirrorless or DSLR camera set up. You don't have to be a pro already! But you will be looking to expand on your existing skills as well as learn some new ones. 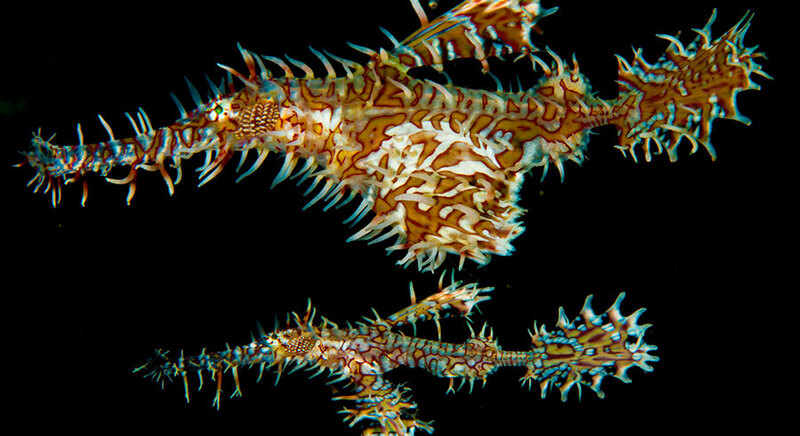 Go beyond the simple fish ID record shots. Martyn will help take your photography to the next level. As Martyn says, from my experience of going on these type of trips over the years you get out what you put in but having said that the guests are on holiday so if they prefer to nod off during a talk or not turn up because they didn't wake up after the last dive! its not an issue for me. The other point to make is that this is a trip for photographers so the resort and I will ensure that we are in our own designated boats and put on the right sites at the right time of day and that we repeat the dive as many times as we want to if necessary so that we get the very best opportunity to build a great portfolio of images. International flights will arrive into Manila. You have 1 night in Manila and will fly to Dumaguete the following day. You will be met on arrival and taken to Atmosphere resort. Dive groups are kept small at Atmosphere, with a special 1:4 guide:diver ratio for underwater photographers. There are regular scheduled departures throughout the day and you are welcome to do as much, or little, as you want. The boat will return to the resort after each dive. If you prefer, you can also dive unguided on the house reef. There is then the option of a night dive. 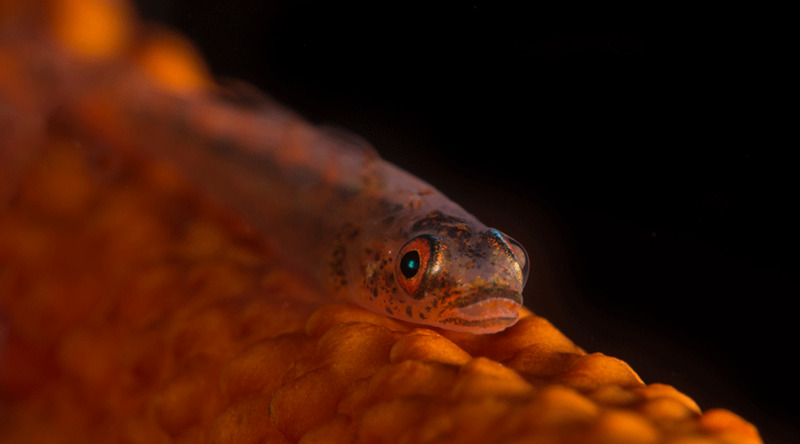 Whilst the timing of the trip means we expect a high density of frogfish, pipefish and nudibranch, you can also expect to find a good range of skeleton shrimp, squat lobsters, chrinoid shrimps and ribbon eels. Night dives are great for candy crabs. But these is so much more to boot. 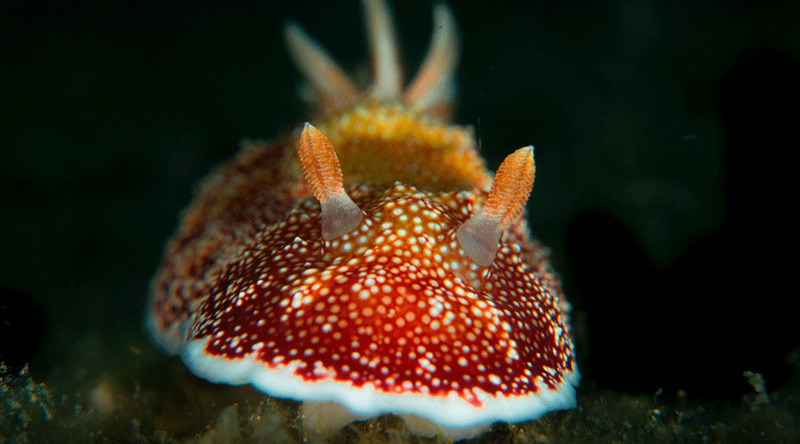 The dive guides are experts at finding the small and fabulously strange! 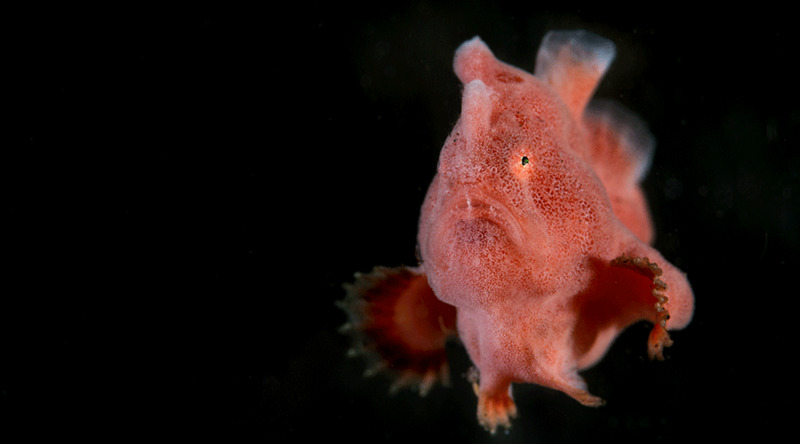 Always watch out for frogfish here! 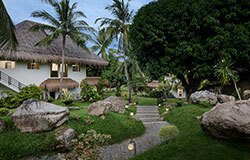 Apo Island has a fabulous place to work your wide angle for a day. Home to hundreds of trutles, the hard coral reefs are fabulous. There are also sea snakes and schooling jacks to shoot. This will be an action packed day. On your no fly day there is a chance to take land shots with a trip to the Malatapay Farmer Market included. At the end of your holiday you will transfer to Manila and then back to the UK. Should you wish to add a stop at another Philippines destination or stop over en route, please simply ask your travel consultant at the time of booking.